This modern watch with a silver dial allows you to watch the time in digital format. 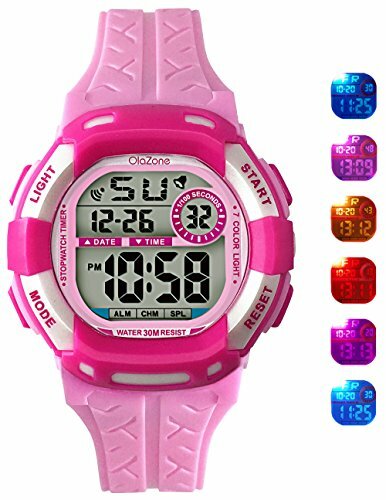 Suitable for school, everyday life, it offers many exciting features such as 7-color flashing, large digital face, alarm clock settings and calendar. the daily life of children, for children is a good choice.